The Properties panel is where you set the individual settings for the input image and each of the Viewer Modes. The settings in the panel will change depending on which mode you are currently using. Convert Input – Click to open the Convert Output options and change your image to a different projection, like cube faces. Here you can add panoramic videos. Pano2VR currently only accepts videos in a 3x2 format. You can easily convert your videos using the Video Wizard. 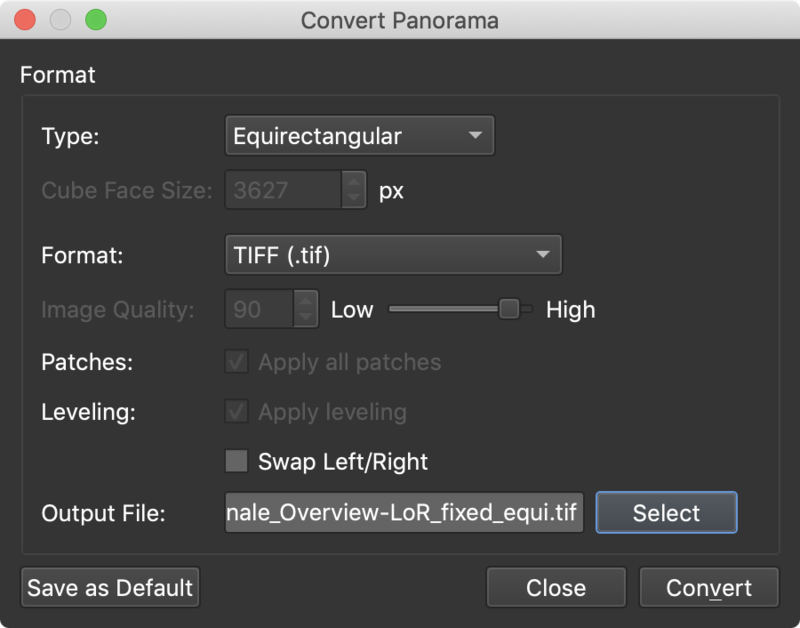 File – Click the folder icon to add a panoramic video (in the 3x2 format). Alternative Videos – Add alternate versions of the video. These could be different resolutions, for instance. The browser will go play back the first video in the list that it can. External – These options are for preventing the files from being embedded within the output file. Externalize - Select to keep the file from being embedded in the SWF in Flash output.